It's the most wonderful time of the year! There's so much to look forward to during this season. I don't know about you, but I'm completely ready to go shopping the day after Thanksgiving. I can't think of a time when I haven't done that. The one store I go to without fail is Kohl's. Not kidding. If you look at my photos over the past who knows many years, that's really the only place you'll find me on that day. So, of course when they asked me to share about their holiday collection, I was absolutely on board! 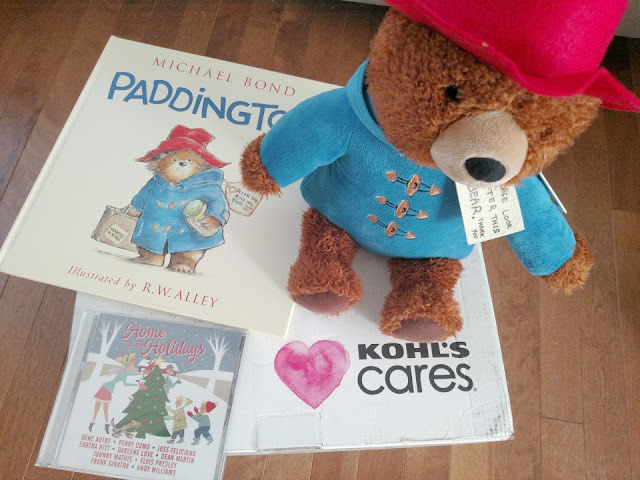 I've worked with Kohl's Cares a few times over the course of the year. I was thankful for that partnership because I was able to share about what they do and I was able to take the wonderful items they sent me to Peru. We went to a pediatric hospital while we were down there for our mission trip. I had put together 7 backpacks to hand out. 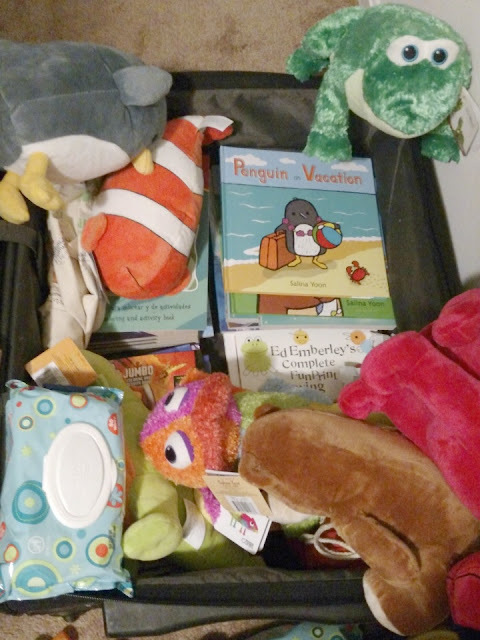 I put one of the stuffed animals I'd gotten for my reviews as well as a Clifford I had purchased a few weeks prior to our trip. Then the books that came with the reviews went into the backpacks. There were a few kids who came up to me as we were getting ready to leave and thankfully I still had some of the mini books with me! In addition to classic children’s books and toys, the new Kohl’s Cares collection features some unique items. The Big Book of Bedtime Stories is an enchanting resource filled with seven different stories to help get little ones to sleep soundly at night. ‘Tis the Season cookbook is brimming with recipes for memorable holiday feasts and delicious treats that are ideal for seasonal celebrations and more. For more than 70 years, Curious George, the mischievous monkey has been delighting generations with his antics and adventures. In Curious George Goes to a Chocolate Factory, young readers will be entranced by George’s love of candy and his playful investigation into how it is made. The collection is available now on Kohls.com and at Kohl’s stores nationwide. To date, Kohl's has raised nearly $300 million through the Kohl’s Cares merchandise program. To reinforce the company’s commitment to children and families, and with your help, Kohl’s has provided financial support to hospitals across the country. The donations fund hospital outreach programs focused on children’s health initiatives and address the specific issues needed most in each hospital’s community. So, when you're out shopping, leading up to December 27th, be sure to check out the Kohl's Cares display. I'll be checking it out when I'm out shopping on Friday! I love ANY post that saves me money! I went to the Kohls.com site and entered "kohls cares" in the search field to get to the direct shopping page. We get a new Christmas book every year and usually pay about $10. I love that there are several books that are only $5- thanks for the money saving tip! Adore Kohls and how they do this program! Giving back is so important! And - I was SUCH a Paddington fan as a little girl that I think I want this stuffed Paddington for myself! Is that bad? Oh their holiday collection is awesome! I might have to go pick that up! I've just started shopping at Koh;s this year because we just moved to the states and it's definitely one of my favorites! These all look like such awesome gifts for Christmas! My children would love them. Kohl's is a great place to stop for gift shopping. Kohls Cares is a great program. And it's such a deal. Where else can you get adorable gifts for $12 or less AND the proceeds go to charity? They make perfect stocking stuffers and Toy Drive presents. I used to live two minutes away from Kohls and went every weekend! Now I live 20 minutes away and still go because I love all of their great deals! I LOVE Kohls! I have their credit card. I love love love all the sales they have year ROUND but especially this time of year. AND it gives back. Can it be better than that? Kohls is one of my favorite stores, especially for their holiday collection. I try to find new ways to give back every year, such as donating gently used makeup to women's shelters and food at my local grocery stores. These classic books are great for the littles in our life! I grew up reading these and I love sharing them with my son as well! love when companies give back during the holidays! this makes me SO happy! Kohls is always a go-to for the crazy good sales, too! Happy Holidays! This is so cute! My husband is from England and he LOVED Paddington Bear! He has been wanting to get something for our little girl so I may send this to him! I grew up on Paddington Bear. This is so cute and so happy Kohls carries this! I love Kohl's. I always purchase these items and donate them to our church's "Giving Tree" for the holiday season. I love how it helps so many people.